Rima Tinawi-Aljundi, M.D. is the Director of the Pathology Department at the Michigan Institute of Urology, P.C. Dr. Tinawi-Aljundi is responsible for the examination and identification of cancer in tissue and cytology samples obtained from MIU patients. She is Board Certified in Anatomic Pathology. She has published numerous articles in medical pathology journals and conducted national and international presentations covering the latest developments in cancer diagnosis. 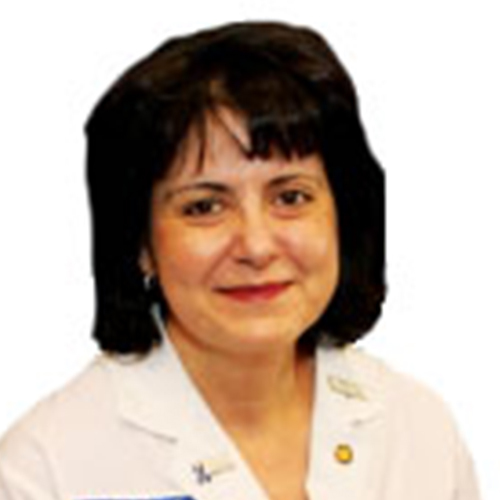 Dr. Tinawi-Aljundi received her Doctor in Human Medicine from the University of Damascus, Syria in 1988. She completed her pathology residency and surgical pathology fellowship at St. John Hospital and Medical Center, Detroit, Michigan. She completed her pathology research fellowship at the University of Michigan and her molecular diagnostic fellowship at Johns Hopkins Hospital and University in Baltimore, Maryland. Dr. Tinawi-Aljundi is a member of the College of American Pathology, the American Urologic Association, the American Society of Clinical Pathologists, the United State and Canadian Academy of Pathology, and the Association of Molecular Pathology. Dr. Tinawi-Aljundi enjoys running and reading. She, her husband and son reside in Sterling Heights, Michigan.